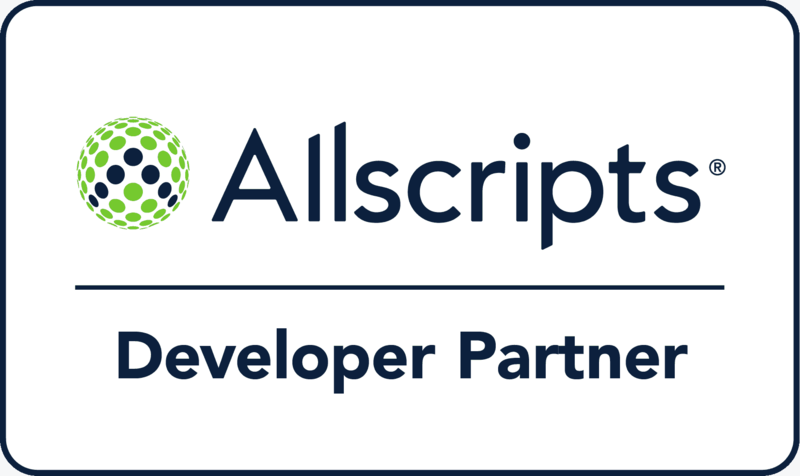 Streamline Health is a proud partner of the Allscripts Developer Program, whose mission is to connect third-party applications, devices and other innovative healthcare technologies with Allscripts products to maximize an Open, Connected Community of Health™. To learn more, visit developer.allscripts.com and to learn about our partnership with Allscripts visit store.allscripts.com. Navigant Cymetrix unites the strengths of four category-leading companies to address the complexities of today’s healthcare system. They design, develop and implement integrated, patient-centered solutions for sustained improvements in revenue cycle performance for hospitals, health systems, physician practices and payers. Through tailored revenue cycle management solutions, they offer capabilities that include Patient Access Services, Revenue Integrity Services, Health Information Management, Patient Financial Services, and Professional Coding, Billing and Collections. Peak Health Solutions is a nationally recognized and industry leading provider of Mid-Revenue Cycle solutions to acute care hospitals and ambulatory provider practices nationwide. 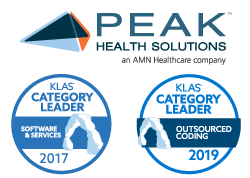 As an AMN Healthcare company, Peak specializes in providing flexible and proven workforce management, advisory and technology solutions focused in medical coding, clinical documentation improvement, audit, and case management. In addition, Peak offers industry leading education and staff training programs to drive measurable and sustainable improvements in business operations. Optum360 is a joint venture between Dignity Health and Optum that is dedicated to transforming the registration, documentation, billing, and payment system so it works better for hospitals, health systems and other care providers, and delivers a better patient experience. Optum360’s revenue cycle management services can meet the large-scale needs of major hospitals and health systems, and enable new care delivery and risk-sharing models such as Accountable Care Organizations. Epic develops software for mid-size and large medical groups, hospitals, and integrated healthcare organizations, working with clients that include community hospitals, academic facilities, children’s organizations, safety net providers, and multi-hospital systems. Its award-winning integrated software spans clinical, access, and revenue functions, and extends into the home for safe, interoperable innovation. MEDITECH’s patient-centric EHR enables caregivers to share patient information in real-time across multiple settings including ambulatory, acute care, and home care. The efficient coordination between care teams promotes safe, cost-effective treatment while enhancing communication with patients to improve patient engagement and the overall patient experieince. Cerner has been executing its vision to make healthcare safer and more efficient for over 30 years. Its unique solutions support evidence-based clinical decisions, prevent medical errors, and empower patients while increasing quality of care and reducing costs. Cerner has innovated at the intersection of healthcare and technology, developing applications with physicians in mind, so the focus is on people, not technology. Its mission remains to contribute to the improvement of healthcare delivery and the health of communities worldwide. TruCode is a software company that provides an encoder application, components and web services to the hospital, consulting, and payer markets. TruCode was first to release a complete ICD-10 encoder, and the first to deliver encoder components via web services. TruCode is supported by HIM industry experts with over 25 years of experience. Our Encoder Essentials technology is currently utilized by the following types of solutions: Computer Assisted Coding (CAC), Clinical Documentation Improvement (CDI), Electronic Medical Records (EMR), Health Information Systems (HIS) and Healthcare Business Analytics. Grassi & Co. takes the financial worry out of healthcare providers’ daily lives allowing them to focus on patient care. Their risk management services help practices develop creative solutions to the most pressing management, financial, regulatory and compliance issues, and they assist physicians in designing and implementing strategies to improve the quality of their service and the overall financial health of their practices. himagine solutions is a leading provider of healthcare outsourcing solutions with a focus on Health Information Management and related services. himagine has the largest team of HIM professionals in the U.S. that serve various healthcare service providers including short and long term acute care facilities, community based hospitals, physician practices, and outpatient facilities. Their professional HIM outsourcing services include an industry leading managed coding solution along with auditing, registry, and clinical documentation improvement. Esker is a global leader in document process automation solutions, helping organizations around the world automate their manual business processes and improve the exchange of information with a suite of on-demand and on-premises solutions for accounts payable, order processing, accounts receivable, document delivery, and SAP®. Let Streamline Health become your Partner in Success.